This Handbook is designed to raise the awareness of tax examiners and auditors of issues concerning bribery and other forms of corruption. It provides guidance on how to recognise indicators of possible bribery or corruption in the course of regular tax examinations and audits. What are bribery and corruption? 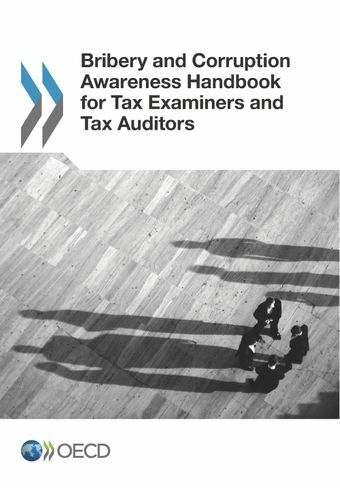 The OECD has designed a handbook to provide tax examiners with information on the various bribery techniques used and the tools to detect and identify bribes. The OECD Bribery Awareness Handbook for Tax Examiners is now available in 18 languages. To mark the 10th anniversary of the entry into force of the OECD Anti-Bribery Convention, the 2009 edition includes the Recommendation on Tax Measures for Further Combating Bribery of Foreign Public Officials in International Business Transactions. The recommendation requires countries to explicitly prohibit the tax deductibility of bribes to foreign public officials and promotes enhanced co-operation between tax authorities and law enforcement agencies both at home and abroad to counter corruption.